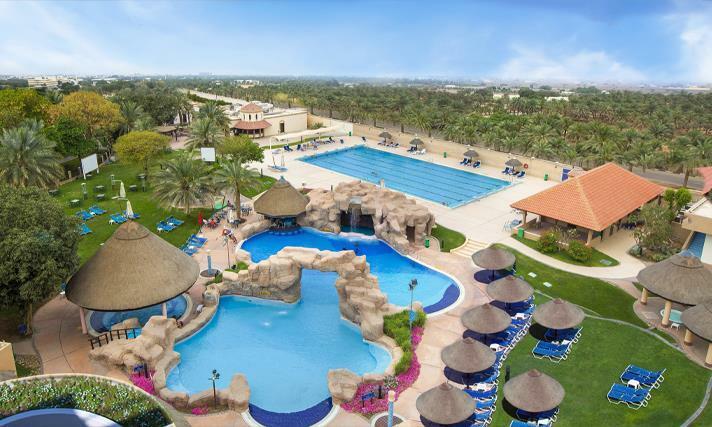 Danat Al Ain Resort is a unique destination, located in the Garden City, Al Ain. We profile the establishment to find out more about what draws guests to enjoy its exceptional hospitality and sumptuous facilities. Seeking to offer guests a truly exceptional experience on every visit, Al Ain boasts a wide array of facilities and amenities, all set amid a stunning backdrop of lush grass and perfectly manicured gardens. The resort features 156 spacious rooms with breath-taking views of the hotel garden and swimming pools, 31 spacious and comfortable suites, as well as 22 luxuriously furnished villas with private access. Flanked by lush greenery and picturesque gardens, the resort also features sensational dining venues, an elegant spa, three temperature-controlled pools, fitness centers, football and cricket pitches, basketball, volleyball, tennis and squash courts, and shaded parking. Ideal for rest and relaxation, the resort offers a unique world of leisure that includes perfect spaces to unwind and recharge such as the tranquil swimming pool and rejuvenating spa. As such, there is something for everyone at Al Ain. Pearl Ballroom, one of the largest meeting venues in Al Ain is a sprawling space that holds gathering of up to 1,000 guests in a theatre style set-up, perfect for weddings as well as corporate galas. Ultimately, the team at Al Ain constantly strive to improve guest satisfaction through innovative and competitive packages paired with great service from its experienced employees. This will remain the team’s ongoing focus as it looks towards a bright and prosperous future.